We carry 11 types of American Cabinets and various types of vanity cabinets. All are in stock, ready to assemble, and can be picked up in as few as 2-4 business days! Check out our American Cabinet and Vanity Cabinet selections below. Vanity Cabinets are available in many sizes (from 15″ to 60″) and colors. All vanities depth is at 21″. Vanity cabinets are only available in all of our American Cabinet collection. 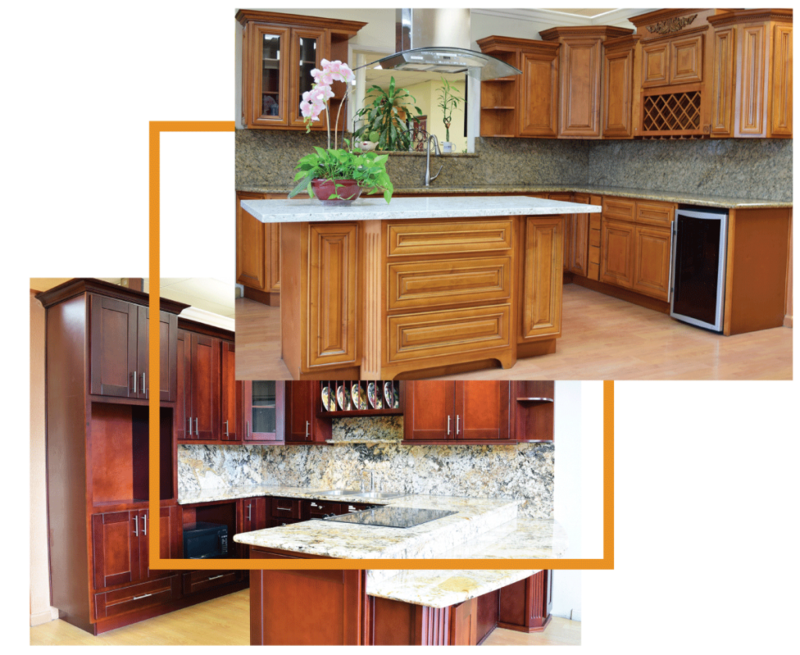 At Deco Kitchen & Bath Inc, we have many cabinet styles and sizes in stock. Therefore, we promise to get your cabinets assembled in no later than four days! Create your dream kitchen with us today! Please note that the actual product colors may differ in person. Vanity cabinets are available in many sizes (from 15" to 60") and colors. All vanities depth is at 21". Designers can mix and match to get your desired sizes. Vanity cabinets are only available in all of our American Cabinet collection. 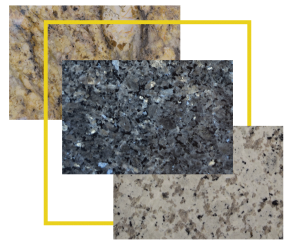 We carry over 30 different kinds of granite and quartz countertops. Pick out your favorite piece and place your order for same day pickup! Please inquire in store with proper measurements. Please note that the variation and patterns of the stone will be slightly different from each other. We have a large variety of granite countertops in stock. Note that even the same kinds of stone is slightly different from each other, allow some variations of the appearance. We have a large variety of quartz countertops in stock. Note that even the same kinds of stone is slightly different from each other, allow some variations of the appearance. We carry many items ranging from kitchen sinks, kitchen sink grids, kitchen faucets, range hoods, cutting boards and more. Come check out what we have in store to help remodel and achieve your beautiful kitchen! 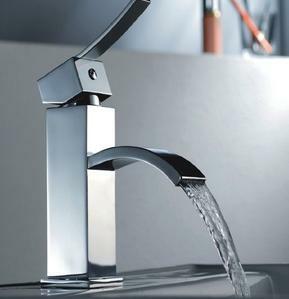 Deco has a great variety of kitchen faucets that comes in either: brushed nickel finish, dark brown finish, or chrome finish. 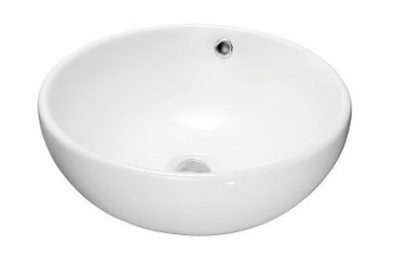 There are many style and finishes to choose from that'll fit beautifully with your kitchen sink. With over 30 different sinks ranging from under-mount sinks, bar sinks, top-mount sinks, and apron front sinks, come check out our amazing selection of sinks to improve your kitchen at home! We carry a great variety of stainless steel kitchen sink bottom grids. There are different size dimensions and compatibilities. Make sure to check if the sink grid is compatible with the kitchen sink! XtremeAIR range hoods are designed, engineered, and assembled in the U.S.A. and is rated one of the best under cabinet hoods! Available sizes are 30″, 36″, and 42″ for our range hoods. Pacific, a brand from Taiwan, has been in the business of making range hoods for over 40 years and won numerous awards in brand design and consumer awards. Deco has a variety of different kitchen cutting boards in solid redwood material. Please check for the correct size dimension and model that fits your kitchen! Our bathroom collection includes vanity and ceramic sinks, shower sets, shower drains, shower doors, vanity faucets, medicine mirror cabinets, and even soap dispensers. Refresh your bathroom with our great selection of vanity products! We carry a great variety of ceramic sinks and tempered glass sinks in our vanity sink collection. The tempered glasses comes in different finishes, such as hand painted copper and gold, hand painted brown, natural clear, and more! We carry 10 different shower sets ranging from Yosemite, Pinnacles, Grand Canyon, Everglades, and Arcadia. There are variation between chrome and brushed nickel finishing. Check out the different styles of shower heads and handles! We carry a variety of stainless steel shower drains and shower drain accessories in our sink drain collection. For our shower drain accessories, PVC, silicone grey, and cast iron are options you can choose from. We carry a variety different soap/lotion dispensers. The dispensers can come in a brushed nickel, dark brown finish, or chrome finish. There is a brass construction pump with a plastic clear bottle. Products are refillable from top. We carries a variety of sizes and styles of shower and bathtub doors. We have most listed sizes in stock and ready to pick up. If not, you can order your preferred item in store and we will try out best to back order it for you. Shop for shower wall panels with us and decorate your bathroom shower walls to give your bathroom a new exotic look! We carry 2 medicine mirror cabinets as well, which are made from solid wood, plywood, and MDF material. If you are looking for accessories to add to your kitchen cabinets or bathroom sinks, please take a look at our great selection of handles! We carry pull-out garbage cans, pull-out spice racks, and even pull-out sink compartments that you can add to your existing cabinets to make the best usage out of your kitchen. We have over 600 styles of handles in stock. We are constantly looking for new style in the market and bringing them to our beloved customers. Come in our store and check out our handles! Deco Kitchen & Bath carries many tools and equipments that will help you remodel and decorate your kitchen and bathrooms. Check out all the different tools that we carry now!